The Door Industry Journal: Freedor just got even better! 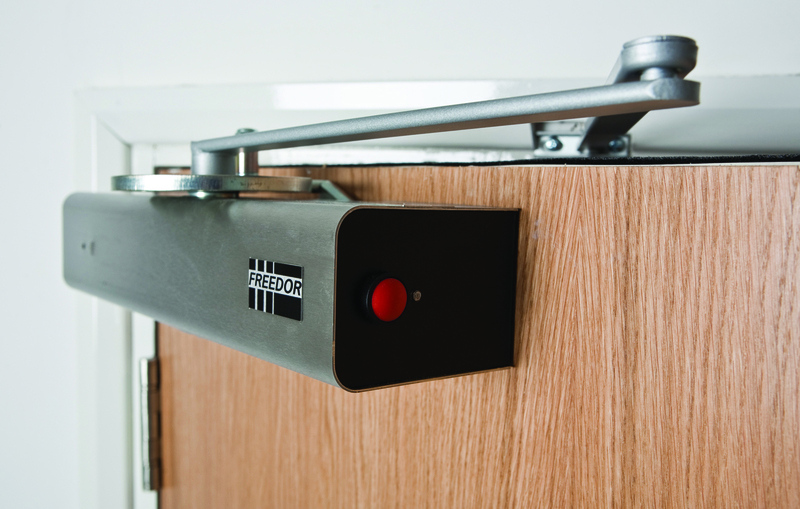 Fireco has announced some important improvements to award winning Freedor, the world's first wireless, electrically powered free-swing door closer. For users we've made access smoother by adding an automatic free-swing function; reduced weekly self-test disruption and noise by making the weekly test selectable rather than a default function; and extended battery life from 12-18 months to 18-24 months. And for installers we've made Freedor even easier to install by simplifying the whole process. We've reduced the component count and removed redundant consumable parts from the package. The battery lift has also been improved making it an easier transition to activation and we've improved the screw elements. The environmental performance has been enhanced, too, through wider testing in different environments/scenarios. The latching action, too, has been upgraded through internal modifications and the development of a more robust latch. Award winning Freedor is a unique wireless solution that allows users to hold open fire doors at any angle, automatically closing them when the fire alarm sounds to prevent the spread of fire and smoke around the building. Installed at the top of the door Freedor is neat, unobtrusive and is easy to install in new buildings and retrofit, with none of the expense and disruption to occupants or the building associated with the installation of hard-wired door closers. Features include Fail-to-safe technology, with a minimum battery life of 12-18 months; Adjustable sensitivity; Complies with BS EN 1154, BS EN 1155, BS 7273-4 category B.